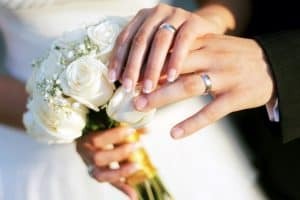 Does Remarriage Affect My Child Support? Home/Child Support/Does Remarriage Affect My Child Support? During the process of your divorce, any issues regarding child support were decided in your divorce decree, a court-ordered document. However, if your ex-spouse remarries into an improved financial situation, are you still responsible for the same amount of child support? This is a good question. With spousal support, a change in financial circumstances for either spouse can trigger a modification order. However, this isn’t the case with child support. The ultimate goal of child support is to allow both parents to provide equitably for their child. Remarriage typically will not change child support payments, either for the person paying them or for the person receiving them. Even when parents remarry, their responsibility to their children does not change. Child support only factors in the parent’s income, not a new spouse. It doesn’t count who else contributes to the household or how much money they make – the parent’s income is the only factor. Additional expenses required for a child’s healthcare, such as those associated with a long-term illness or severe injury. Significant loss of income of the paying parent, such as the loss of a job. One parent being sentenced to jail or prison. If you are paying or receiving child support and are planning on remarrying, talk to the attorneys at Cynthia H. Clark & Associates, LLC. We’ll work to ensure your financial interests are protected. For a consultation at our Annapolis office, please call 410.921.2422 or fill out our contact form.